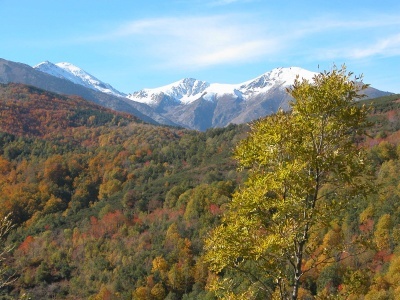 A self-guided walking holiday through the Spanish and French Pyrenees. All transfers are in a vehicle that will take a maximum of 4 people plus luggage. 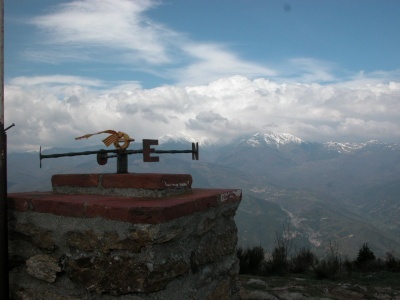 Additional fee of £35.00 for Sunday transfers from Perpignan and Girona. Accommodation: 6 nights in family run hotels – all rooms with private bathrooms: See ‘Additonal information’ for hotel list. Day 6: Transfer to Pic Néoulous for the descent to Banyuls sur Mer. The «Transpyrénéenne» comes to an end. Walk along the Albères, from the Pic Sailfort to the Cap Béar, and pass through vineyards to reach Elmes. 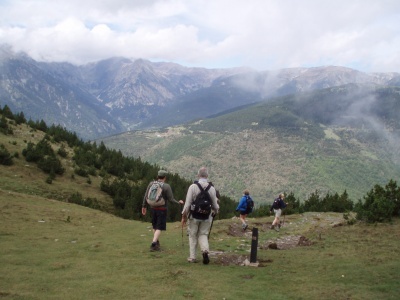 Overnight in Hotel***7.5 to 8 hours ofwalking, 20 kms/12.5 miles, level + : 642 m, level – : 1589 m. During this day it is possible to do a shorter walk (4 to 5 hours walking) with a transfer to the Col de la Serre. 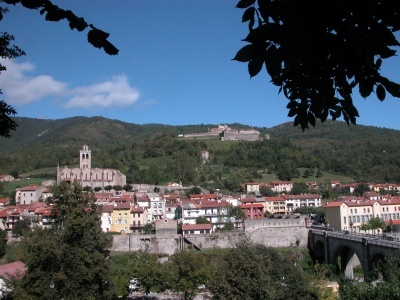 From Barcelona or Girona take train to Ripoll and from Ripoll a taxi to Setcases. 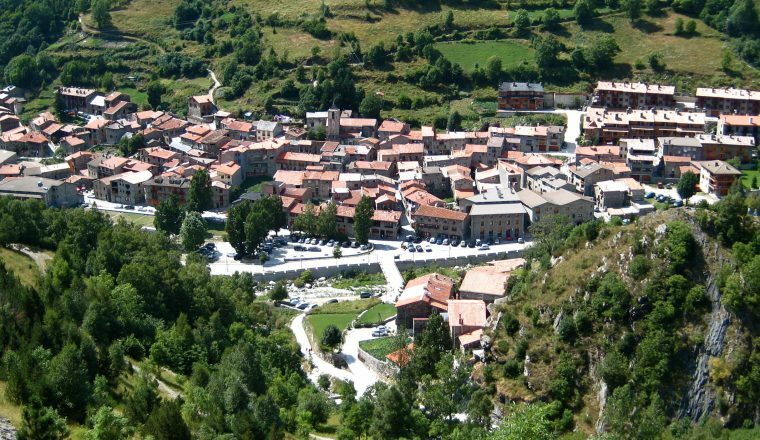 It is possible to take a bus from Ripoll to Camprodon but there are very few buses from Camprodon to Setcases and a taxi is not always easy to find in Comprodon. Taxi from Ripoll to Setcases costs approx. €60.00 for the journey (up to 3 people). Setcases is difficult to reach using public transport from France – it is recommended that you book a transfer. 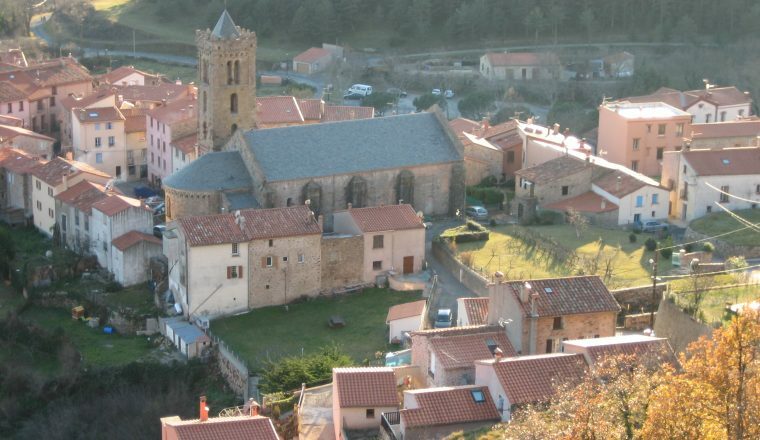 There is a train station in Banyuls with a service to both Perpignan and Barcelona. If going to Barcelona there is not a great difference in the train fare if you take a taxi to Portbou and from there you can take a direct train to Barcelona. Otherwise you need to change trains at the border and you may have to wait for a connection. There is a direct train from Banyuls to Perpignan. Day 3 is on middle level mountain lands, maquis, garrigue, some rocky paths on the Pilon de Belmatx, then woods to Amélie les Bains. Day 4: transition walk, easy. Middle level mountain then low level. Tracks and a few small roads. Day 5: Back to the mountains at 1300-1100 m high. Grass and maquis. Down to Banyuls, rocky paths on the Pic Sailfort part.